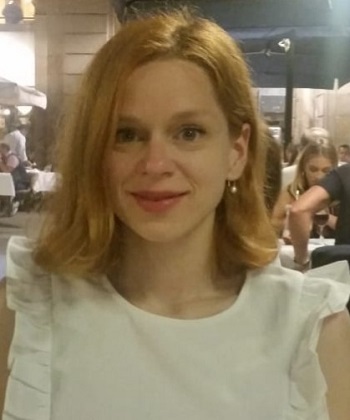 Katarina Krbot is a clinical research fellow to Professor K Ray Chaudhuri at the National Parkinson Foundation Centre of Excellence King’s College London. After having successfully completed University of Zagreb School of Medicine and obtained a medical degree, she has started her career in neurology in Hamburg, Germany. In addition to her neurological residency, she has been working on several basic neuroscience projects, particularly addressing the neuroinflammation associated with neurodegenerative diseases. Katarina is regularly writing peer-reviewed articles and presenting her research work at international conferences. She is a member of the German Neurological Society (Deutsche Gesellschaft für Neurologie, DGN) and the International Parkinson and Movement disorder society (IPMDS). Katarina’s research interests focus on the motor and non-motor aspects of Parkinsons’ disease (PD). She is genuinely passionate about pathological pain processing in PD patients, aiming to better understand and to be able to modulate its underlaying pathophysiological mechanisms.